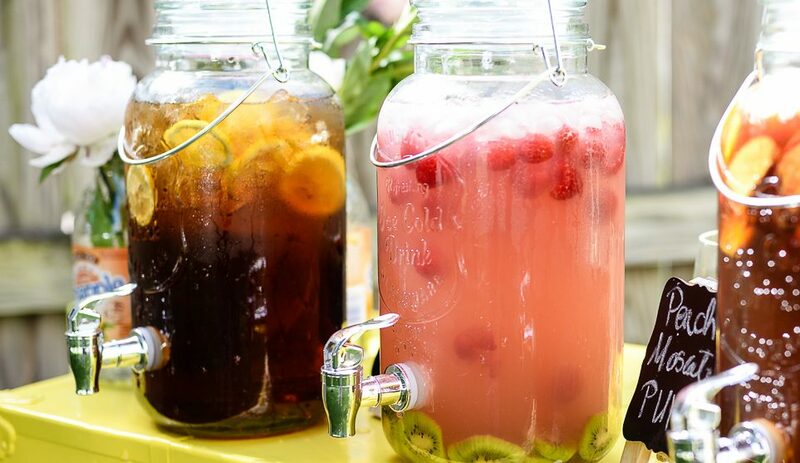 If you are in the habit of hosting a relatively large number of people for summer parties, beer drinking sessions, engagement ceremonies or dinner parties, you’ve probably had to spare some time to buy a few bags of ice from the nearest gas station or grocery store. After all, there is only so much ice that a standard freezer can produce. 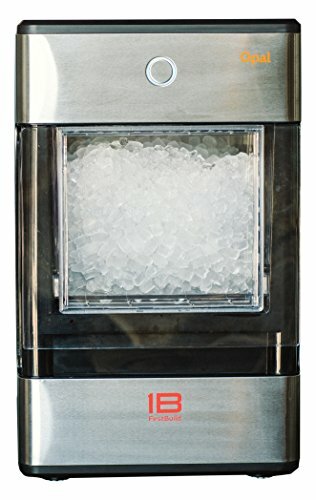 A portable countertop ice maker, also known as a nugget ice machine, eliminates the hassle of having to purchase additional ice whenever you host such an event – and you’ll also enjoy the benefit of being able to bring the ice you need to outdoor events like camping trips or a picnic at the beach. 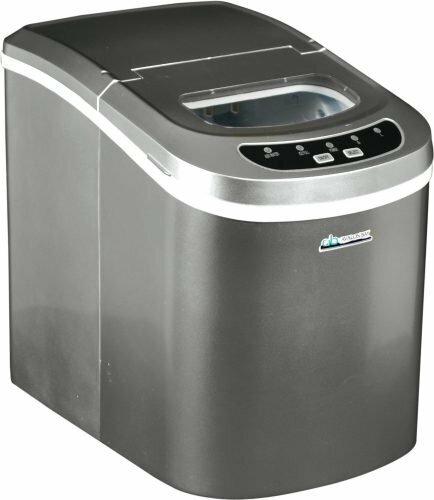 The Avalon Bay AB-ICE26S Portable Ice Maker can also produce up to 26 pounds of ice (in two sizes) every 24 hours and can make a fresh batch of ice in 6 minutes. It weighs only 21.2 pounds and comes in three colors: black, silver and red. 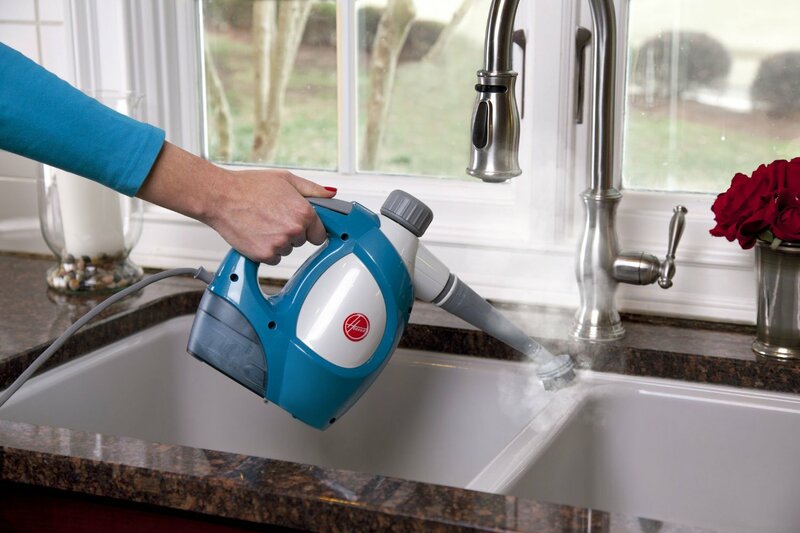 It comes with a bottom drain feature, which makes it easy to clean. Lighted indicators are incorporated to remind you to add water and empty the ice tray when it is full, and also comes with an automatic overflow protection feature. Any unused ice will not be wasted; it will simply melt back into the reservoir and be recycled into fresh water. 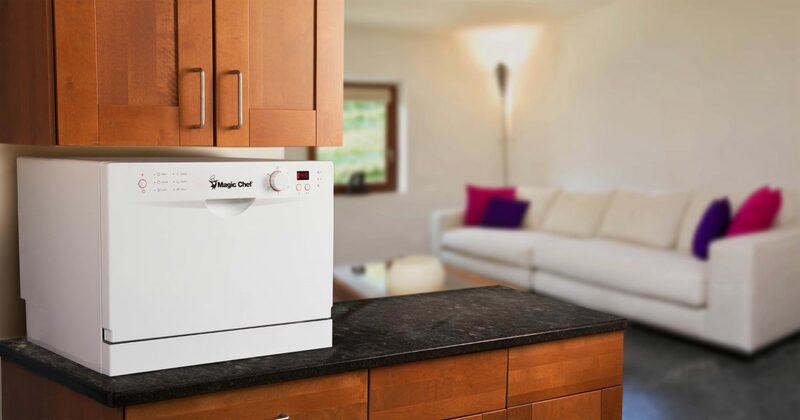 Avalon Bay is a leading manufacturer of stylish and affordable small home appliance products. 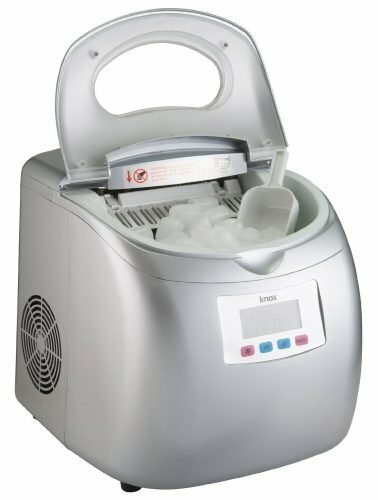 With an over-sized ice bucket that can hold up to 2.2 pounds of ice, the Igloo ICE103 countertop ice maker can easily accommodate the demand for ice at any party, picnic or social gathering. 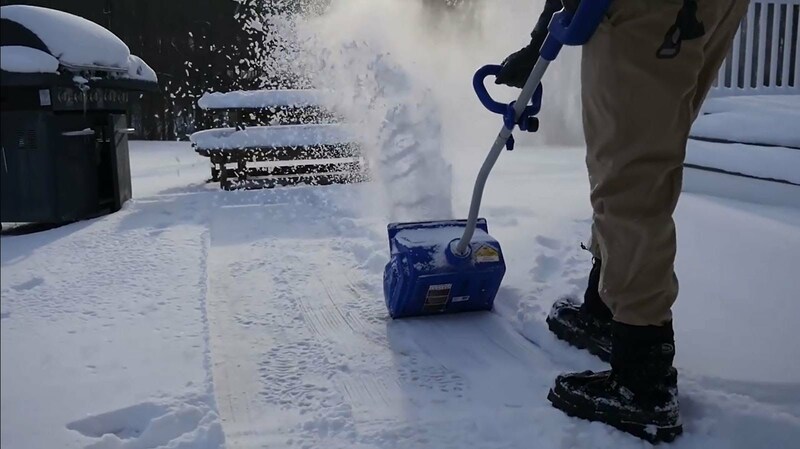 Its lightweight and compact design allow it to weigh in at only 28 pounds, thus allowing you to transport it easily to wherever the ice is needed. It can produce 26 pounds of ice in 24 hours and only takes 6 minutes to produce a batch of ice. It provides three cube options: small, medium and large. 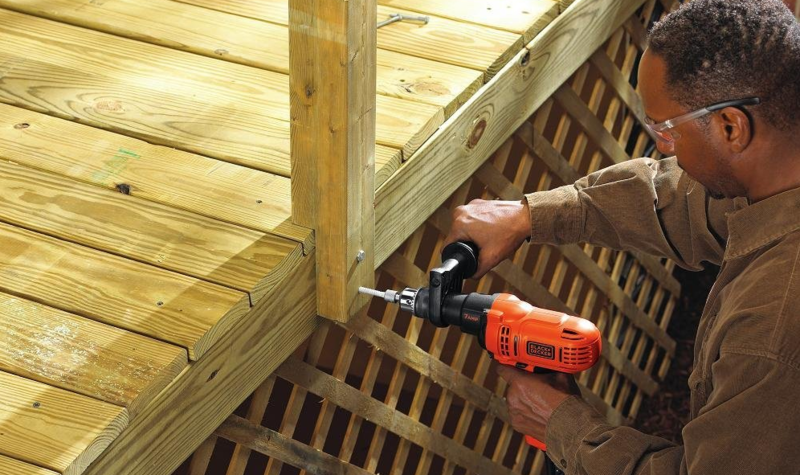 All desired specifications can be made easily via the convenient electronic control panel and LED indicators. 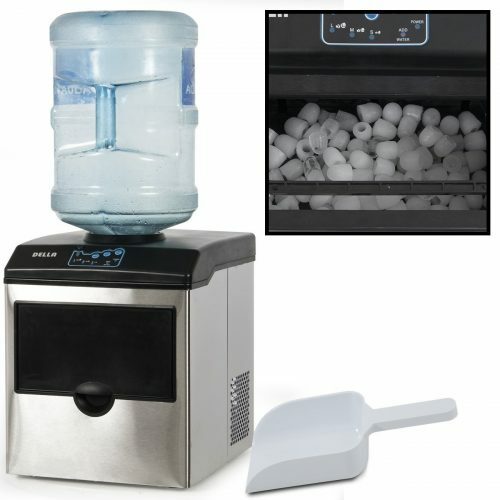 The Igloo Product Corporation has a been manufacturing quality metal products and home appliances for more than 60 years and is one of the first companies to build high-quality ice chests and ice makers. 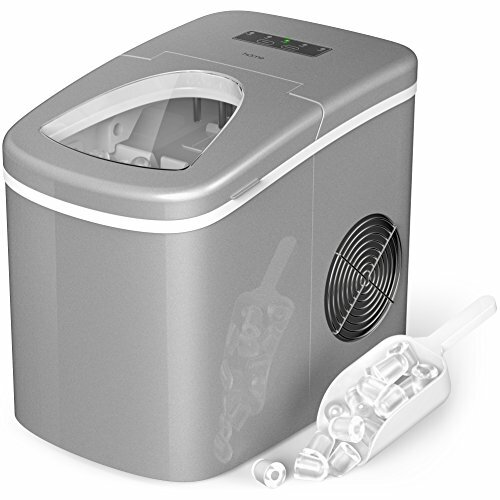 The Della Portable Ice Maker bears some resemblance to the Knox Portable Compact Ice Maker. It also comes with a sleek performance-oriented design and a removable ice tray that allows you for easy ice transfer. It is available in four colors: red, black, silver and stainless steel. As with its Knox counterpart, it can produce up to 26 pounds of ice each day and takes only 6 minutes to produce a fresh batch of ice. Measuring 17 x 13 x 16 inches and weighing 21 pounds, it is slightly lighter than the Knox portable compact ice maker, however. It comes with a well-insulated integrated storage bin is well-insulated that can contain up to 1.5 pounds of ice (bullet shaped, and available in two custom sizes) at a time. 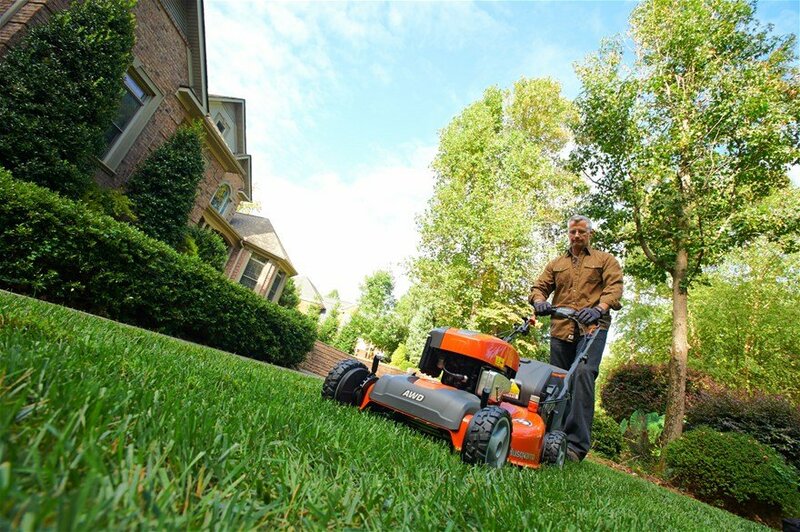 The sleek design incorporates easy-push touch buttons and intuitive icons for digital control. You can look through the ice window to check up on the ice level, or rely on the light indicator to know when the water level in the reservoir is about to be depleted, and when the ice bucket is full. 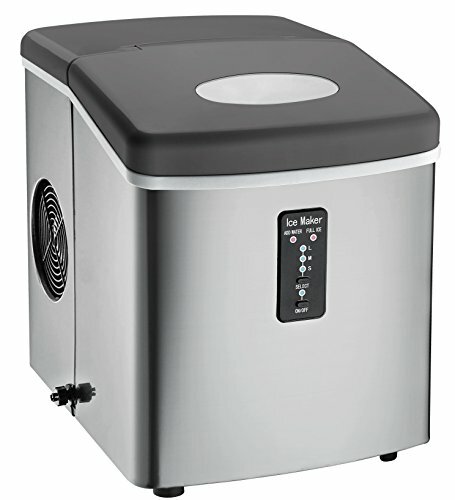 Measuring 16 x 13.5 x 14.5 inches and weighing 23.6 pounds, the Knox Portable Compact Ice Maker is lighter than its Della counterpart. 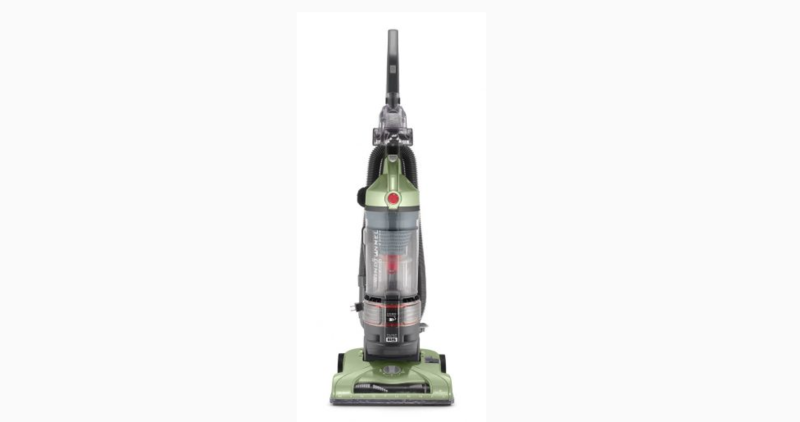 Its sleek, performance-based design is available in three colors: red, silver, and white. It can store up to 26.5 pounds of water and can make a batch of ice cubes in only 6 minutes. All 26.5 pounds of water can be converted into ice within one 24-hour cycle. 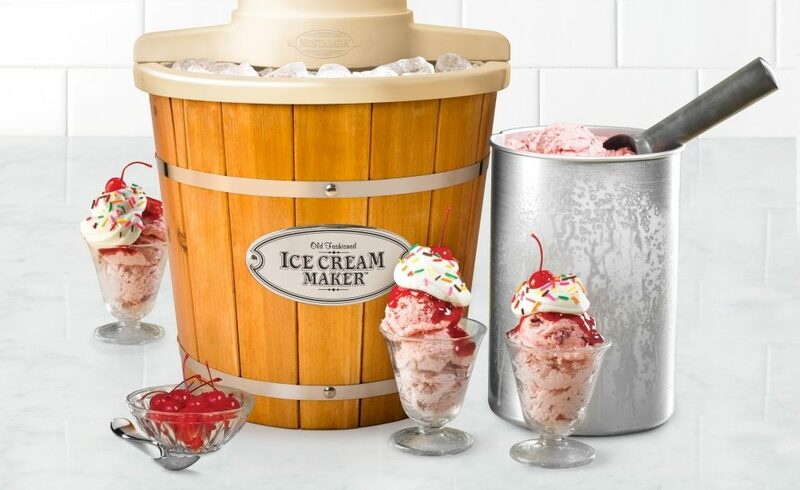 The removable tray holds 2.5 pounds at a time, allowing you to easily transfer the made ice to your freezer or ice bucket – and to make room for more ice. It features an ingenious design where the water reservoir is interconnected with the ice tray, allowing melted ice to be turned into ice once more without creating any water waste. The backlit LCD control panel is easy to use, allowing you to control and fine-tune your ice making needs. You can specify the size of the ice cubes you need (small, medium or large – all in bullet shapes) and set the timer to ensure that all the ice you need is ready when you need it. You will easily be notified if there is a need to add in more water or to empty the ice tray. You can also check up on progress by glancing at the ice chamber via the convenient transparent ice window. Knox, aka. Knox Gear is a budget-friendly electronics brand famous for their home and lifestyle gadgets. 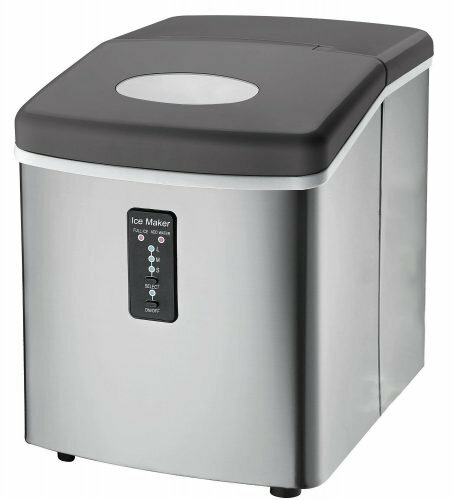 The most expensive ice maker only on this list is relatively heavy, weighing in at 25 pounds and measuring at 7 x 16 x 13.8 inches. 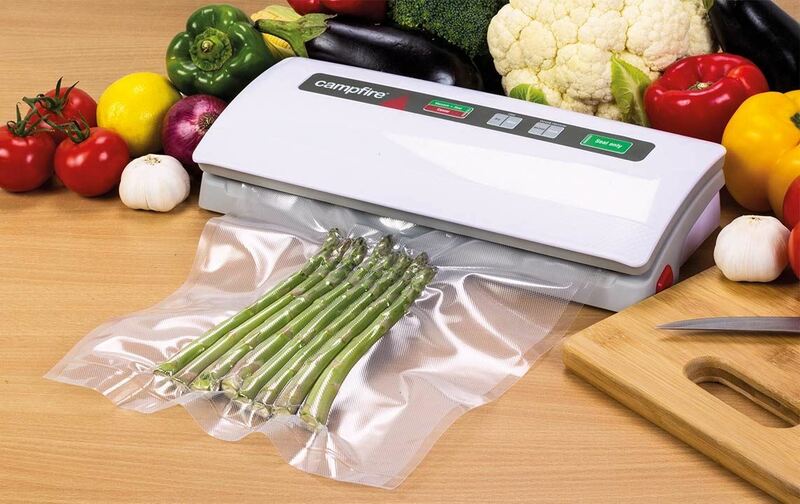 It can hold up to 2.2 pounds of ice within its quality stainless steel and ABS housing and can make up to 26 pounds of ice in a day. 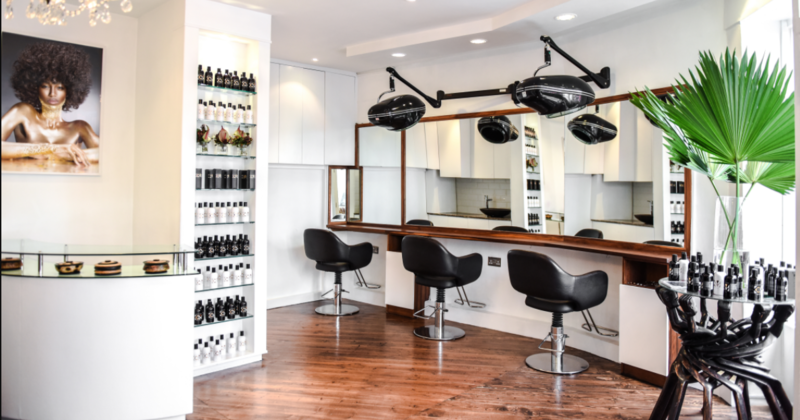 You can choose between three cube sizes via the selection panel: small, medium and large. A fresh batch of ice can be made in only 6 minutes. As with the other ice makers on this list, no plumbing is required. 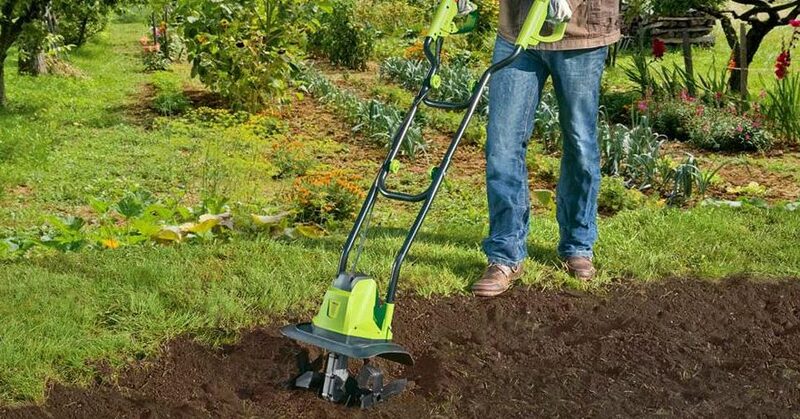 All you need to do is plug it into a power source, and add in the necessary amount of water. Unused ice will simply melt back into the water reservoir and converted into new ice during the next ice-making cycle – thus ensuring no water wastage. ThinkGizmos is a leading gadget and toy supplier based in Sussex, England. 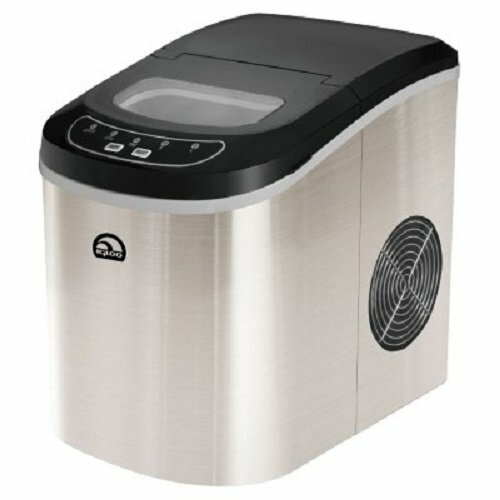 Available in a sleek stainless steel and black housing, the Della Ice Maker comes with a water dispenser that allows you to conveniently obtain ice and chilled water from a single unit. 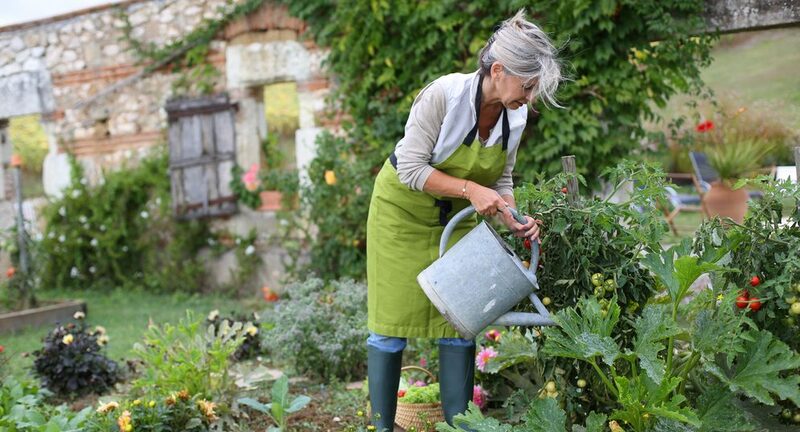 Its’ main components include a durable stainless steel body and a water-cooler style 5-gallon water jug. The soft-touch controls dispense water or ice with ease, making for a perfect addition to any office or home. 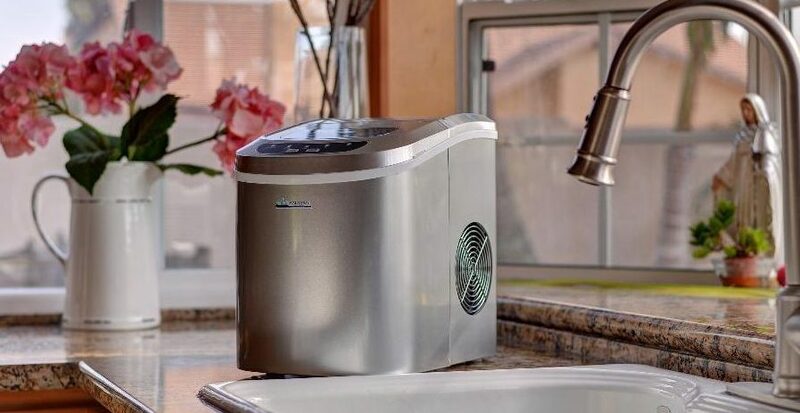 It can produce up to 40 pounds of fresh ice each day without using a low amount of energy and only takes up to 6 minutes to produce a batch of ice. There is a light indicator that alerts you when the water level in the water dispenser is running low, and you have the option of three cube sizes: small, medium or large (which are all bullet shaped). 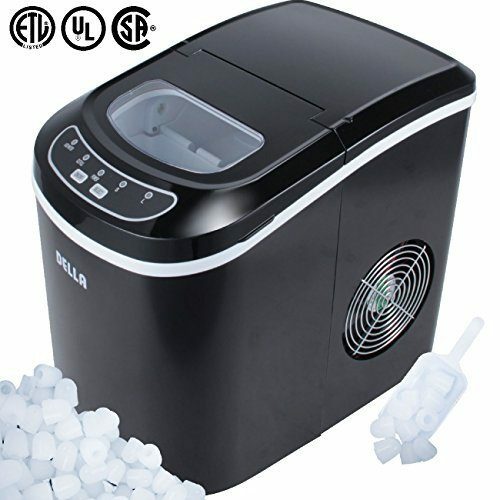 Measuring 18 x 20 x 21 inches and weighing only 38 pounds, this compact ice maker is suitable for bars, restaurants, kitchen counters, and any location where a power outlet is available. Why go through the hassle of having to empty and refill the small ice trays in your freezer or waste fuel to buy ice from the nearest fuel station each time you have guests over? 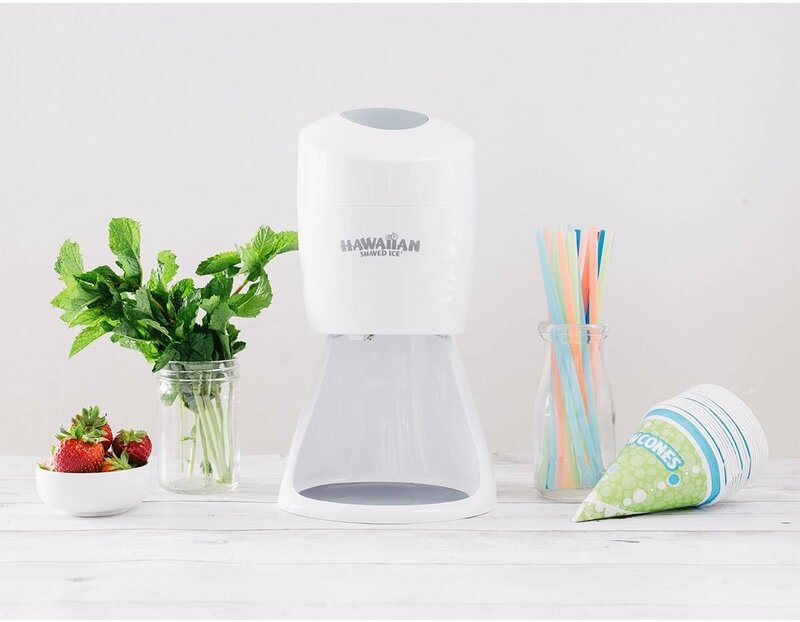 All of these portable countertop ice makers will easily ensure that chilled drinks are constantly available throughout your social event – without burning up too much of your time and energy. Some of the sleek designs would also surely complement your kitchen counter while making sure that you do not have to go without a chilled drink whenever you feel like it. Nice article and well put together reviews, I should get me one of the at home.